panoramic views over the sea from a completely private balcony. enjoy eating outside. Inside the emphasis is on luxury and comfort. 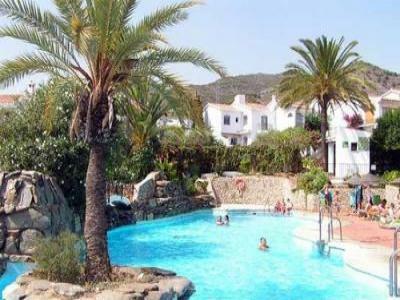 of Nerja), Car hire and money exchange. Tennis is 5 mins on foot. Burriana beach with its fresh fish restaurants and water sports. .
under 2 hrs car drive on good roads. buildings that disfigfure much of the Costa. morning, and sunbathe on the Nerja beaches in the afternoon. Indian, Mexican and even Greek. fiestas and Saints' days when colourful flamenco dresses are worn. and many men, wear splendid Fiesta outfits. The 16th July is the Dia del Virgen Carmen, the fishermen's Saint. short service, then everyone celebrates.